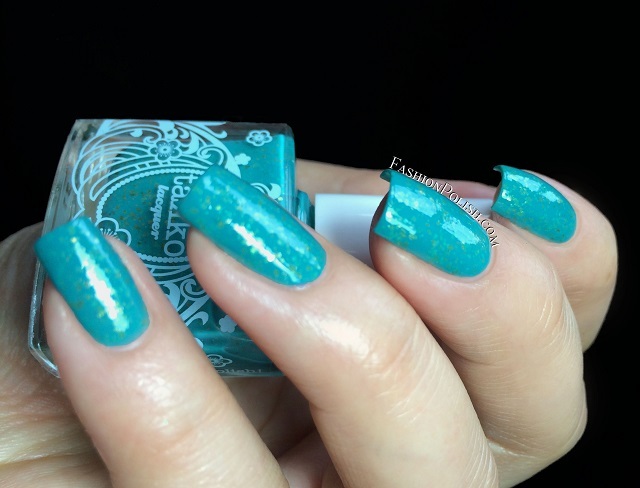 Fashion Polish: Takko Lacquer swatches & review! Takko Lacquer swatches & review! Hi guys! I have some Takko Lacquers to show you today! Takko Lacquer is one of my favorite indie brands, beautiful and unique colors plus high quality formula? Yes, please! 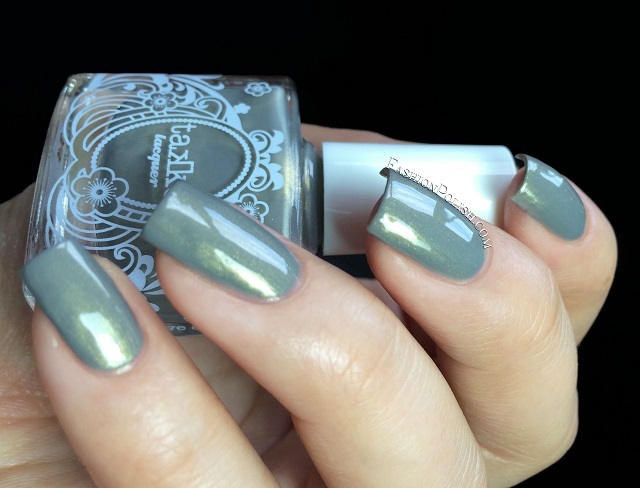 The Electric Apple : NYC is a beautiful medium grey polish with a strong gold shimmer and a fabulous almost-one-coater formula, I absolutely love it! This is 2 thin coats plus topcoat. 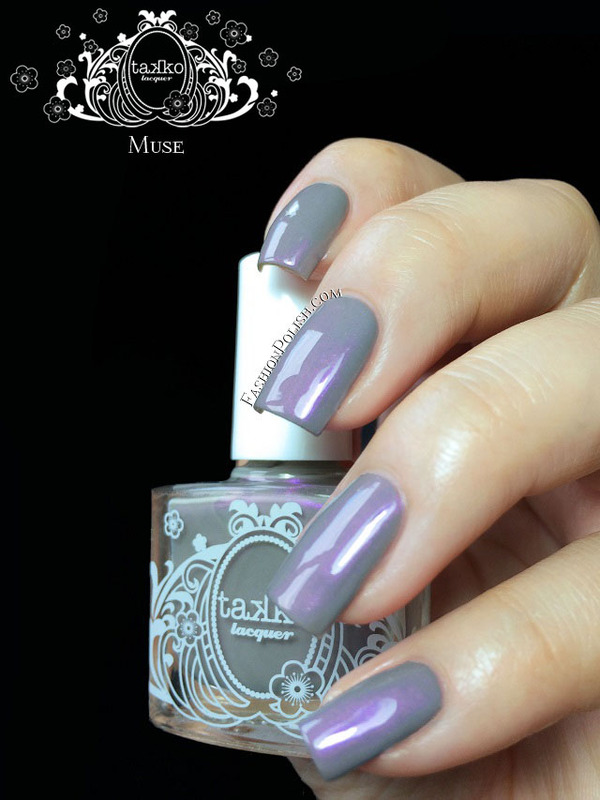 Muse is a warm greyed-out purple with a strong pink/purple shimmer. Another beautiful shimmer, did I mention I have a thing for dusty purples? I used 2 coats plus TC here as well. Schiaparelli is a pale neon pink (does that even make sense? lol) filled with silver and gold-green shimmers. totally unique in my collection! This is also 2 coats plus TC. Nirvana is a deep turquoise packed with gold flakies. I feel like I'm repeating myself a lot today but it's a.m.a.z.i.n.g!!! Another totally unique stunner with great formula! 2 coats plus TC used here. Get Lucky is a gold holo glitter bomb. There's so many shapes and sizes going on in there that I won't attempt to describe its crazy rainbow sparkle but believe me it's intense in real life! 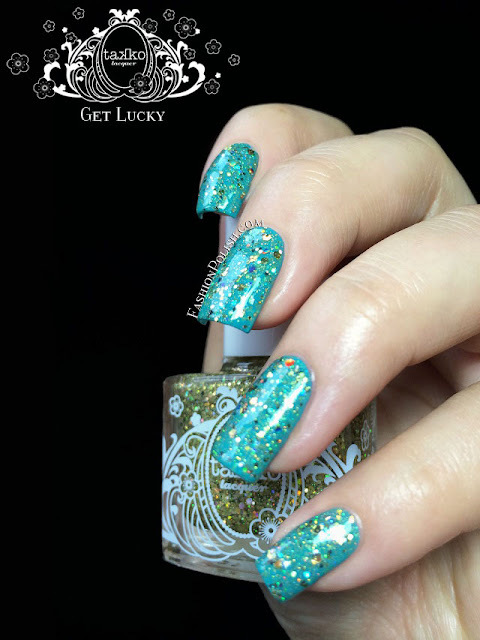 I used one good dabbed coat over Nirvana plus topcoat in the swatches below. I have yet to be disappointed in Takko Lacquer, each and every takkito I have tried so far has proved to be a hit! I mean, don't you just find them breathtaking? Takko Lacquer retails for $13.00 each and is available for purchase on takkolacquer.com or via Llarowe and Mei Mei's Signatures. For more information, such as new releases and restocks, make sure to follow Takko Lacquer on Twitter and Instagram.